Aerial view of Belfast city centre, Northern Ireland. Photo ©Nigel Andrews. The Titanic Belfast, the newly opened interpretation centre, located on the slipways where RMS Titanic was built. Photo ©James O’Neill. 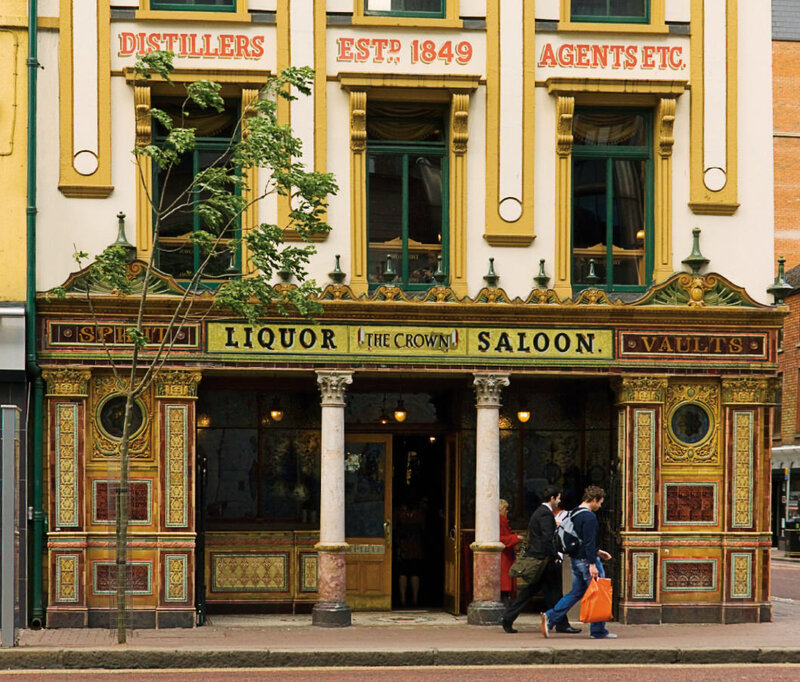 The Crown Bar, one of the oldest landmarks in Belfast. Photo ©Waltraud Ingerl. A craic of its own. It’s 10 p.m. in the chandelier-dappled cocktail bar of Belfast’s boutique Merchant Hotel, a column-fronted landmark built in the 1850s as the headquarters of Ulster Bank. Judging by the ritzy clientele, there’s just as much capital here today. I stroll the stripey carpet and slide onto a stool at the glossy, dark wood counter. An ice-packed Hendrick’s Gin and tonic hits the spot as I adjust my tie and swivel to survey the gilt-accented room. Sequined couture—plus some not-very-discreet diamonds—shimmer from low-rise candlelit tables, while the tinkle of raised glasses creates a convivial, private party atmosphere. It feels like a grand soiree from a bygone era. VIPs like these were on the upper decks of RMS Titanic, launched from the nearby Harland and Wolff shipyard a little more than a century ago. But while it’s tempting to see latter-day Northern Ireland sailing away from its difficult recent past, Belfast is never going to be another Dublin. And for me, that’s its main appeal. I’ve always preferred this city to its touristy, shamrock-hugging sister to the south. Dublin is lovely, of course, but Belfast feels more genuine. It’s where you mingle with the locals rather than supping Guinness with tour groups in pubs that shamelessly hawk leprechaun ball caps. And as for the craic (that twinkle-eyed Irish party vibe that keeps everyone dancing a merry jig on the Emerald Isle), it’s alive and well here, so long as you know where to look. But first, there’s something everyone should do when they hit Belfast: take a guided taxi into the region’s tumultuous backstory. Local cabbie Billy Scott is a chatty, jocular fellow. He whisks me off in his London-style black cab to the Shankill Road and Falls Road areas—those tough-as-nails Belfast neighbourhoods where the Catholic-Protestant divide reached a bloodthirsty peak in decades past. Meticulously painted wall murals along the bustling streets recall key figures and events in the conflict’s history, from hunger strikes to machine gun–wielding paramilitaries, while newer works depict sporting heroes and peace themes. “Much of the artwork here is still defensive because the people in these communities traditionally felt under siege,” explains Scott. Scott thinks there will likely always be two sides in Belfast. But he’s convinced the future doesn’t have to be characterized by conflict. “I’d like to see the Unionists and Nationalists coming together in a cosmopolitan bundle. It’ll take a while, but we’re working towards it. No one wants to go back to the old days,” he says. After the cabbie dictates his list of top craic recommendations, he drops me off in the city centre, and I wander the pedestrian-packed streets radiating from Belfast City Hall, a handsome structure that resembles a wedding cake with a cathedral-like dome. Twenty years ago, roadblocks and police searches were common here, but now it’s just like any other clamorous European metropolis. Shoppers with bulging bags pinball between chain stores, and back lanes are alive with jam-packed alfresco café tables. Eventually, I stumble upon St. George’s Market. Built in the 1890s, it’s now a combination food hall and craft fair, and is a magnet for anyone with time to spare. Under its gabled glass roof, it’s ringing with chatty locals, many tapping their toes around a DJ holding court in the centre of the action. The club-like vibe makes it feel like a party. Belfastians often seem coolly indifferent, even suspicious. But once you start talking, they couldn’t be more genuinely friendly. Swept up in the fun (underlined by smile-triggering stall names like Old Tartsxx Patisserie and Is There Life Before Coffee? ), I riffle through used books, T-shirts, and candy in a stand selling Shankill Road milk chocolate and Falls Road dark chocolate bars. My crumpled list of craic hot spots is now burning a hole in my pocket, so I join the partying nighttime crowds on the lamplit streets of the cobbled Cathedral Quarter. There’s an almost tangible joie de vivre here that reminds me of the laid-back bonhomie of an outdoor music festival. I plunge first into Muriel’s Café Bar, a hopping establishment specializing in gin—hence the 57 varieties proclaimed on its outside chalkboard. I squeeze through the throng to the tiny counter (under a ceiling draped with discarded bras), not knowing where to start, especially when the young server watches me through narrowed eyes, as if he’d rather be somewhere else. It’s not long, though, before I make a valuable discovery. Belfastians often seem coolly indifferent, even suspicious. But once you start talking, they couldn’t be more genuinely friendly. Despite being busy, the goateed barman lights up when I ask for some assistance with the drinks list. I have a quick one before strolling on to an even tinier bar nearby called the Spaniard. I’m lucky to find a perch at the wood-panelled counter, and it feels like I’m in a small, bottle-lined boat. Before it sets sail, though, I rediscover my land legs by weaving to the nearby Green Room Belfast for a nightcap. Two giant murals, tucked along a side alley, and painted by Devenney and Marty Lyons, depict dozens of Belfast characters past and present. C.S. Lewis and Pierce Brosnan peer back at me, while George Best and Liam Neeson enjoy a guitar show by Van Morrison. After a night of mural-themed dreams about Bono and Sinéad O’Connor, I walk to the other side of the River Lagan. A little late-night craic may be enough to lure me to Belfast, but one giant new attraction aims to take care of everyone else. 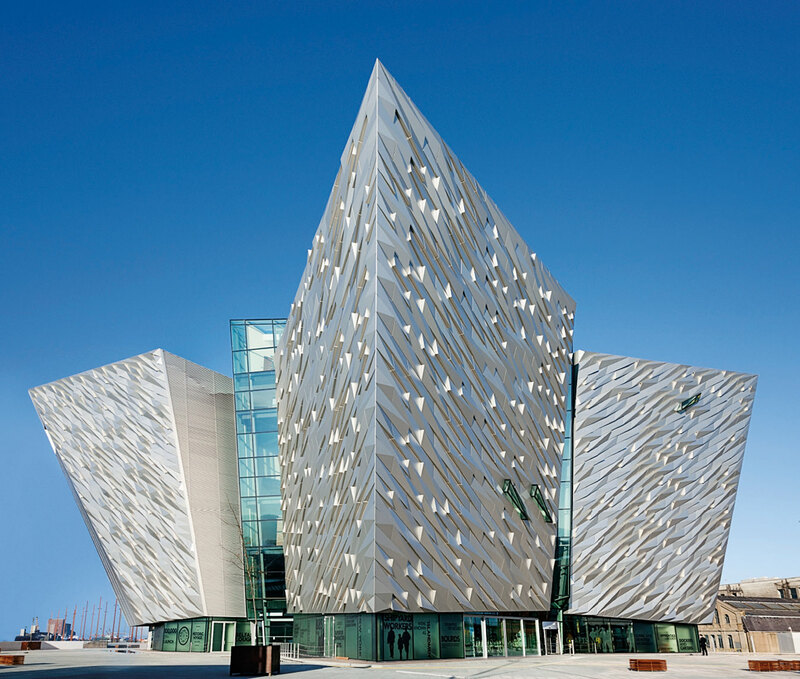 Located where the infamous vessel was constructed, the landmark €97-million ($126-million Canadian) Titanic Belfast building echoes the shapes of ships’ prows and jutting icebergs. Completed for the centenary of its sinking, it’s not a museum of dusty exhibits but an interpretation centre recalling the ship’s creation, untimely demise, and legend-making story. Touch screens animate a time, the early 20th century, when Belfast was booming, while the Shipyard Ride swoops through the vessel’s gritty construction. An elevator simulator looks down on the decks of the completed ship, and recreated passenger quarters include a sumptuous stateroom with four-poster beds and rich carpets. 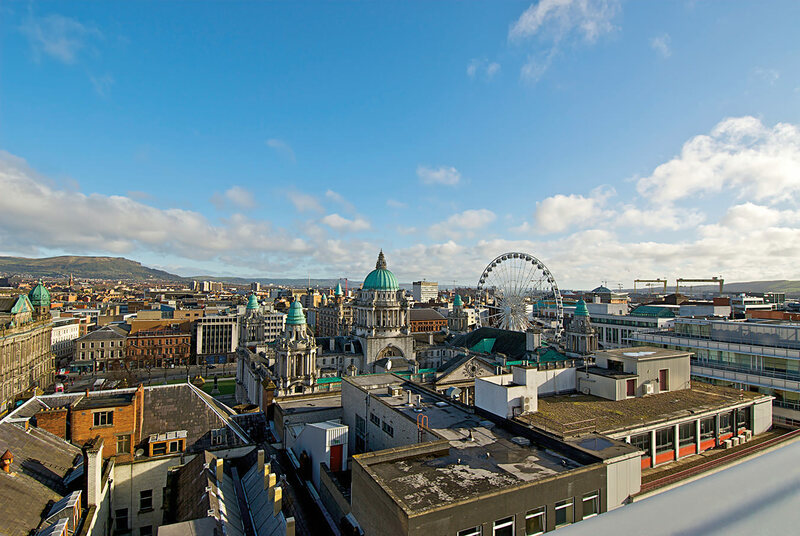 Named after the Queen’s University of Belfast, Queen’s Quarter is an elegant Belfast district that’s studded with slender townhouses and the occasional grand church. Recalling Belfast’s Victorian heyday, it now has the relaxed, carefree feel of a permanent Sunday afternoon. I poke around Botanic Avenue bookshops and wander the fascinating Ulster Museum before sidling into the Botanic Gardens. The tranquil gated park is studded with hyacinth and daffodil beds, and its ironwork Palm House echoes London’s Kew Gardens. Ice cream–covered toddlers, novel-reading singletons, and coyly flirting couples stretch out nearby. As I nod off in the light breeze, it’s hard to imagine a more peaceful spot in the world.